Sat 1pm ride - our ride today was out to the Roaches Tea Room via Allgreave, Royal Cottage, the Mermaid & Thorncliffe. 9 riders were in the normal Sat Club run ride and 4 were in the faster group. We all met up at the tea room. We managed to miss the forecast rain, although there was a light shower while we were in the tea room. 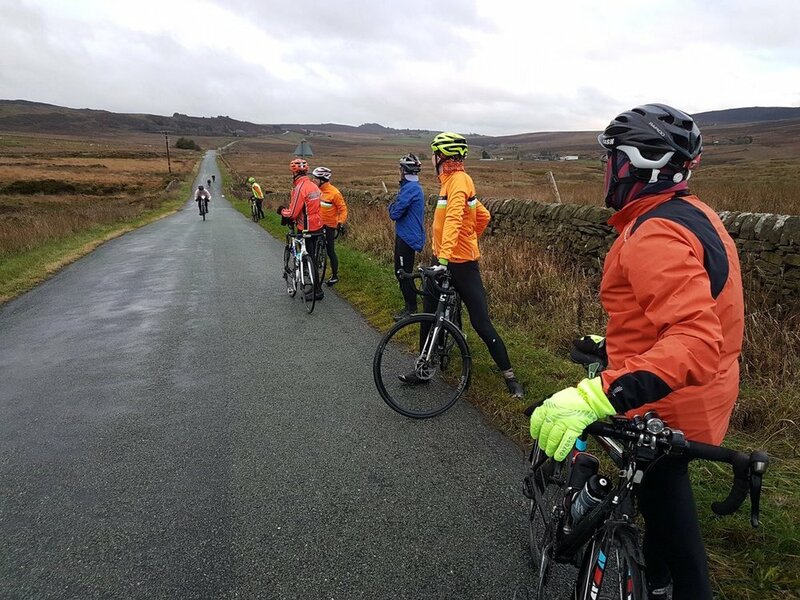 Following our break we then cycled up under the Roaches to the start of our Freewheel Comp. 13 riders took part and although we were fairly close together Eddie won and is our 2018 trophy holder. Well done Eddie. After the celebrations we then rode up to Flash and on to Macclesfield via Axe Edge. I clocked up 42 miles and 4300ft of climbing.